The Universe is expanding. In the standard model of cosmology the rate of that expansion is given by the Hubble parameter, which is a measure of the dark energy that drives cosmic expansion. New observations of distant galaxies yield a higher than expected Hubble value. That may mean the Universe is expanding faster than we thought, but there’s no need to start rewriting textbooks just yet. Since the Hubble parameter measures the rate of cosmic expansion, one way to determine it is to compare the redshift of light from distant galaxies with their distance. The cosmological redshift of a galaxy is easy to measure, and is due to the fact that cosmic expansion stretches the wavelength of light as it travels across millions or billions of light years, making it appear more red. By comparing the redshifts for galaxies of different distances we can determine just how fast the Universe is expanding. Unfortunately distance is difficult to determine. It relies upon a range of methods that vary depending on distance, known as the cosmic distance ladder. For close stars we can use parallax, which is an apparent shift of stars relative to more distant objects due to the Earth’s motion around the Sun. The greater a star’s distance the smaller its parallax, so the method is only good to about 1,600 light years. For larger distances we can look at variable stars such as Cepheid variables. We know the distance to some Cepheid variables from their parallax, so we can determine their actual brightness (absolute magnitude). From this we’ve found that the rate at which a Cepheid variable changes in brightness correlates with its overall brightness. This relation means we can determine the absolute brightness of Cepheid variables greater than 1,600 light years away. If we compare that to their apparent brightness we can calculate their distance. By observing Cepheids in various galaxies we can determine galactic distances. We can observe Cepheids out to about 50 million light years, at which point they’re simply too faint to currently observe. Enter the supernova. In a single burst of light a supernova can outshine an entire galaxy, so they can be detected across billions of light years. While there are several types of supernovae, one type (Type Ia) has a fairly consistent maximum brightness. We know this by observing several in galaxies where Cepheids have been used to determine their distance. Just like Cepheids, we can compare the actual brightness of a Type Ia supernova with its apparent brightness and determine the distance of a galaxy. The achilles heel of the cosmological distance ladder is that it relies upon a chain of data. The distance for supernovas depends upon the calculated distance of Cepheid variables, which in turn depend upon parallax distance measurements. With ever increasing distance comes greater uncertainty in the results. So you want your uncertainties at each step to be as small as possible, which is where this new work comes in. 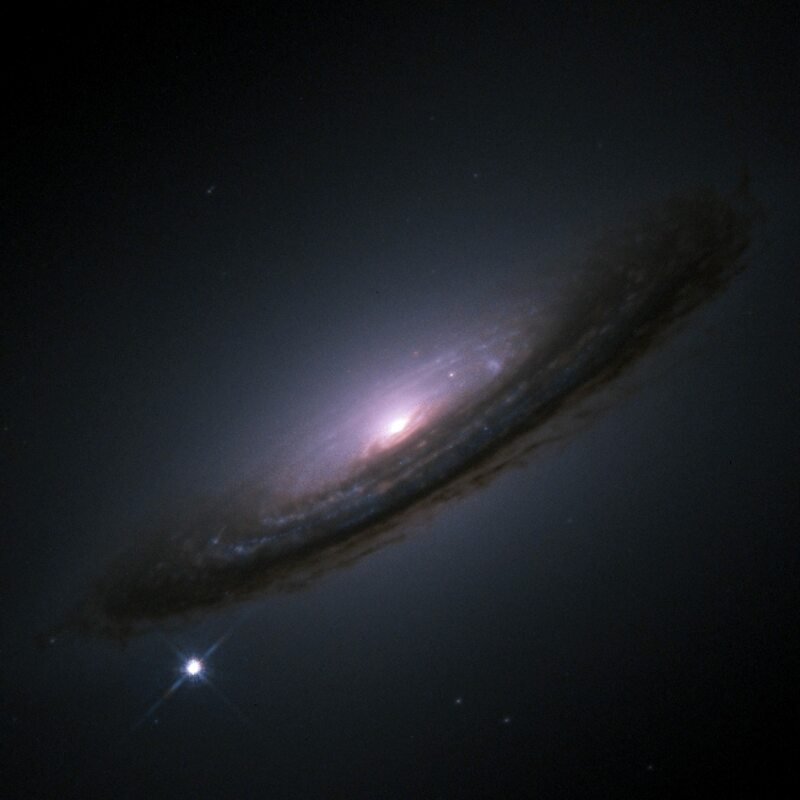 Using data from the Hubble Space Telescope’s Wide Field Camera 3, a team measured about 2,400 Cepheid variables in 11 galaxies where a Type Ia supernova had also occurred. This allowed them to reduce the uncertainty of supernova distance measurements. They then compared the distances and redshifts for 300 supernovae to get a measure of the Hubble parameter accurate to within 2.4%. That by itself is good work, but the result was surprising. The value for the Hubble parameter they got was about 73 km/s per megaparsec, which is higher than the “accepted” value of 69.3. The difference is large enough that it falls outside the uncertainty range of the accepted value. 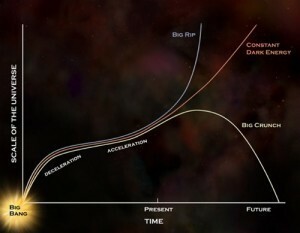 If the result is right, then it means the Universe is expanding at a faster rate than we thought. It could also point to an additional dark energy component in the early Universe, meaning that dark energy is very different than we’ve supposed. But we shouldn’t consider this result definitive just yet. The use of supernovae to measure the Hubble parameter isn’t the only method we have. We can also look at the way galaxies cluster on large scales, and fluctuations in the cosmic microwave background. Each of these gives a slightly different value for the Hubble parameter, and the “accepted” value is a kind of weighted average of all measurements. The variation of values from different methods is known as tension in the cosmological model, and any new claim about dark energy and cosmic expansion will need to address this tension. If the supernova method is right and the Universe really is expanding faster than we thought, why do other methods yield a value significantly smaller than the true value? It could be that there is some bias in one or both of the methods that we haven’t accounted for. Planck, for example, has to account for gas and dust between us and the cosmic background, and that may be skewing the results. It could be that the supernovae we use as standard candles to measure galactic distance aren’t as standard as we think. It could also be that our cosmological model isn’t quite right. The current model presumes that the universe is flat, and that cosmic expansion is driven by a cosmological constant. We have measurements to support those assumptions, but if they are slightly wrong that could account for the differences as well. This new result does raise interesting questions, and it confirms that the discrepancy between different methods is very real. 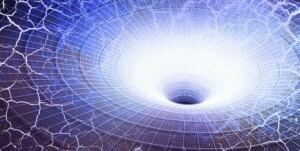 Whether that leads to a new understanding of cosmic expansion and dark energy is yet to be seen. There are other methods of estimating cosmic distances, not as well-known or widely used. One I find particularly interesting is water masers; would you please consider writing a post about these some day?